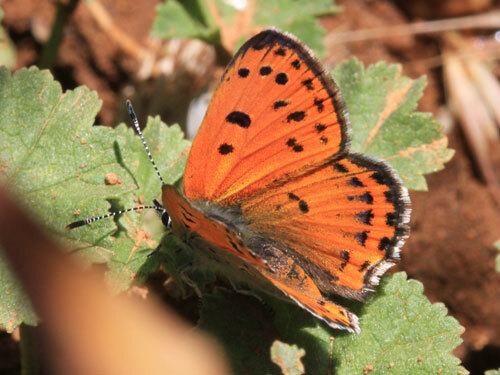 A glorious endemic from the mountains and plains of Morocco. 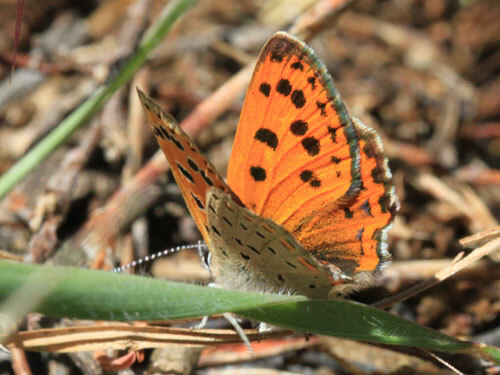 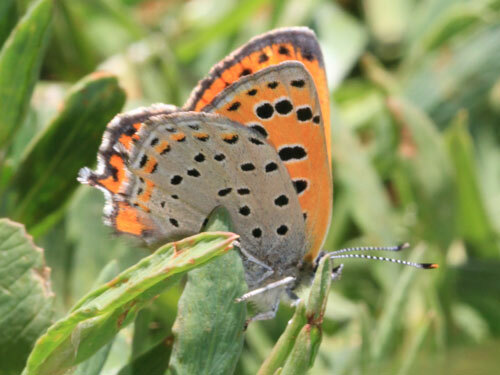 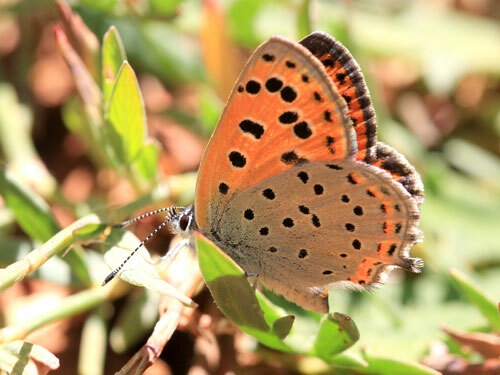 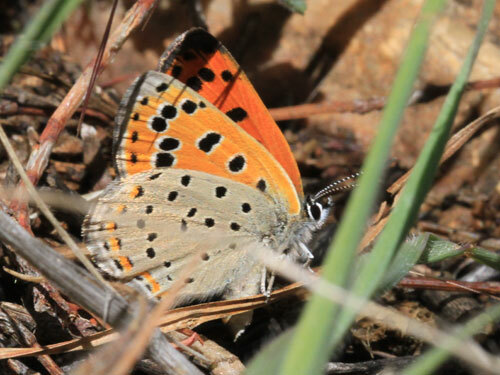 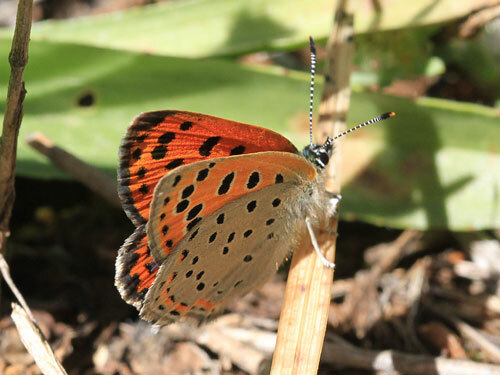 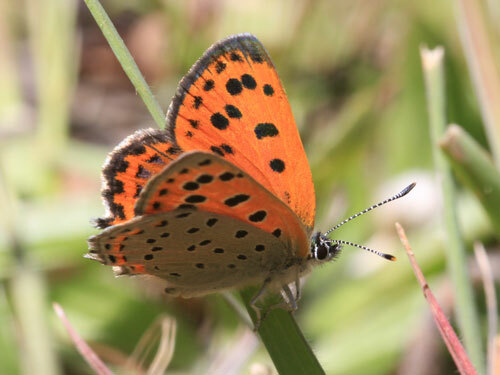 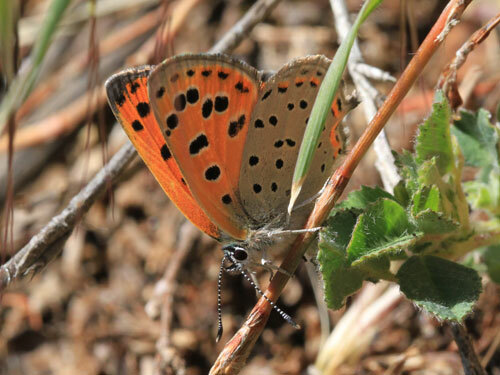 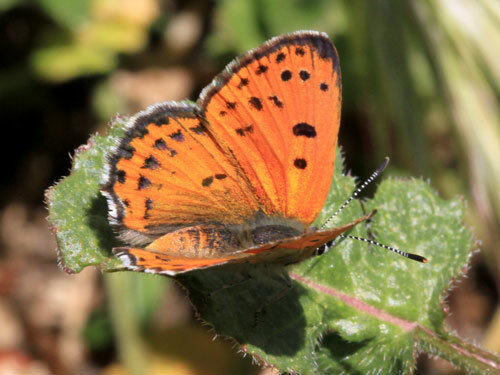 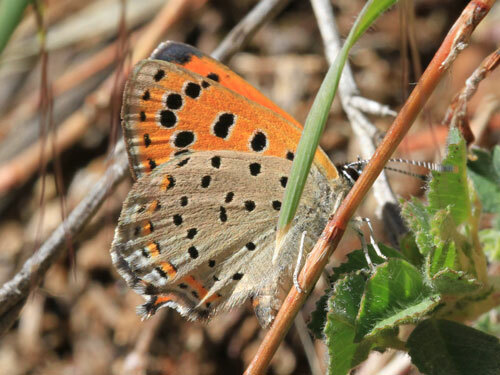 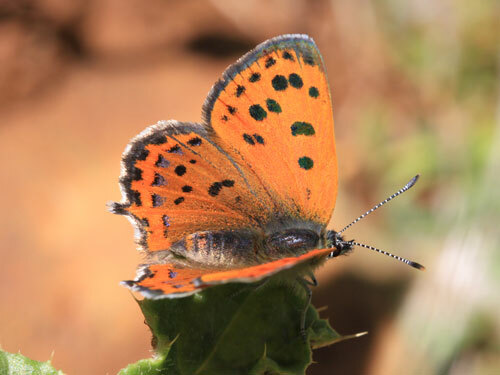 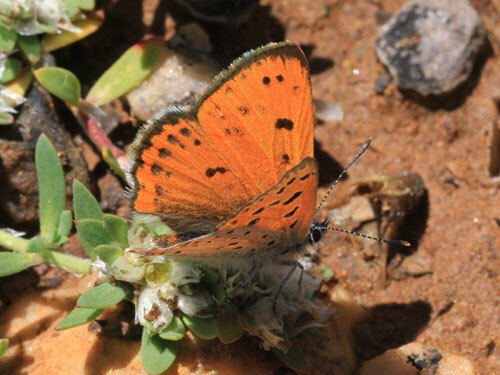 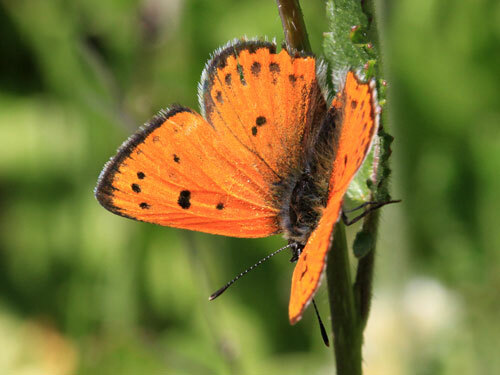 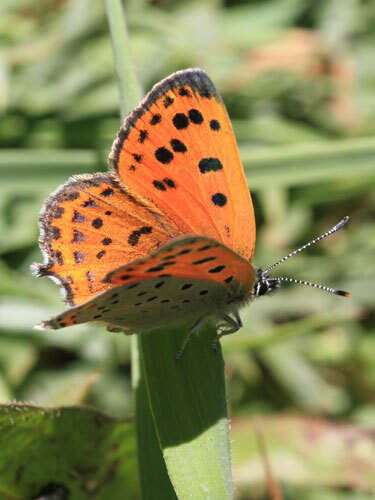 Identification & Similar species: Only the small copper L. phlaeas is similar in N Africa. 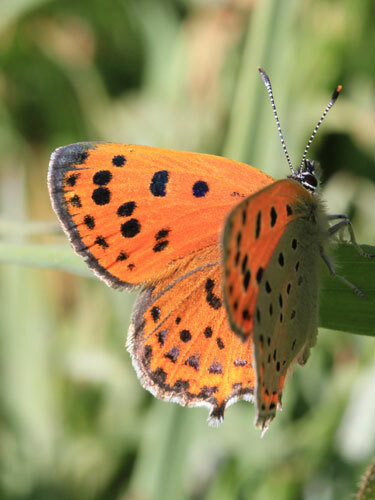 The orange upperside hindwings and spots on the underside of the current species make separation easy. 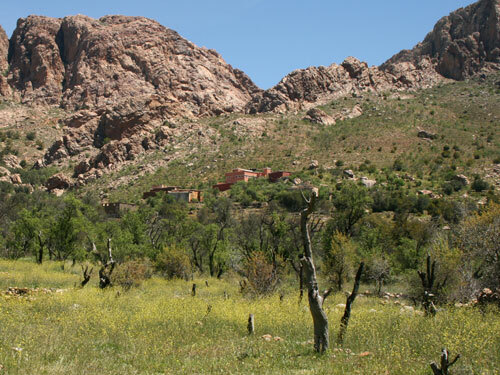 Distribution & Flight: Lower levels around Marrakech where it flies in spring (March-June) and then in the High and Anti Atlas mountains upto 2200m in mid to late summer. 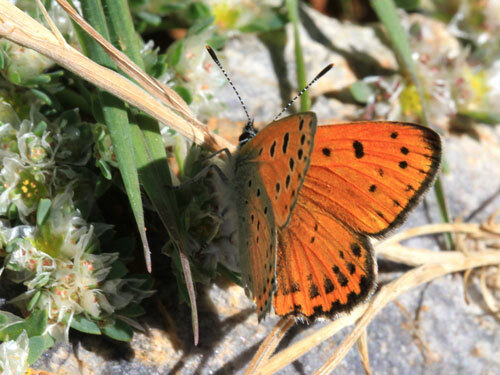 Habitat & Behaviour: Flies in flowery places. 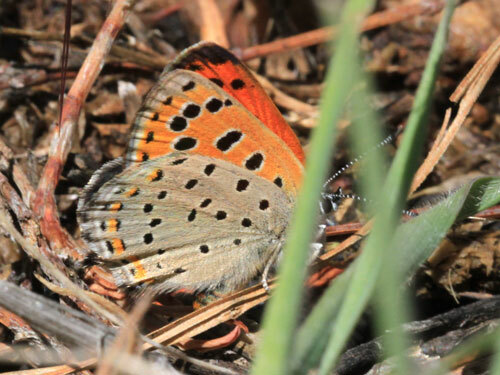 In my limited experience found near marshes or water courses.